About a month ago, I wrote up a post detailing why we decided not to cycle the famous Carretera Austral in Patagonia. In a nutshell, the juice wasn’t quite worth the squeeze for us in that the tremendous views we were bound to behold were only accessible through more pain than we were willing to delve out that early into the trip. 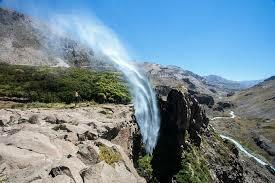 And so, our journey in Chile is destined to be a northern route starting in Puerto Montt, the gateway to Patagonia. For a detailed breakdown of the route, go check out our main Cycling South America page. Let me start out by saying that the city of Puerto Montt, Chile isn’t exactly easy to reach from Boston. We have to make 2 connections (Miami and Santiago) to reach the starting line, which is particularly dicey for people traveling with bikes on a plane. Terrible sequel to “Snakes on a Plane” by the way. While the story was abysmal, I think most critics agree that the acting was really what doomed this for failure from the beginning. With each flight, I get more nervous the a baggage handler is going to wreak havoc on my tires and gears, and having to change planes two times really adds to my worries. Still, we’ve never had any major issues in shipping bikes over with us, so I shall remain hopeful all is well when we arrive in Chile. Upon arrival, Suzie and I will take on a new occupation as we join the Chilean “Major Climbs Unit.” I’ve been watching True Detective lately if you are wondering where the inspiration originated for this. Really excited to just… be a part of the team. Our first 1,000 miles has us pedaling a total elevation gain of 55,347 feet. That’s almost two times up and over Mt. Everest. For a more detailed look at the climbing details, you can check out the proposed route on Map My Ride here. Possibly the coolest way to start a trip is to spend your first night camped out under the stars in the shadow of an active volcano. Our’s is called Volcan Osorno, and it’s the best way we could think of to blast off on our adventure. Gotta love a good volcano pun. While we expect to be climbing a TON in the first few weeks, we also expect to be immersed in the beauty of the Lakes District of Chile. I could go on plagiarizing things I picked up off other sources, but rather than acting like my 9th, 10th, 11th, and 12th grade self, I’ll be the “adult” in the room and just recommend you check out this site for an overview of the Lakes District in Chile: Guide to the Spectacular Scenery of Chile's Lake District. As you’ll see in the guide, there’s almost too much to see in the Lake District. With more time, we would absolutely dip into Argentina and then back over the Andes if we could, since the Argentinean side appears to be equally beautiful but less busy. Alas, we have a schedule to keep and plenty of mountains to climb without adding elevation to our route. From the pictures I have seen, the Lakes District reminds me a bit of the research we are doing on Banff National Park up in Canada. The vibrant blue water and snow capped peaks lining them are exactly what I pictured when dreaming about living for a year out on the road. It’s going to be the perfect place to begin our travels. 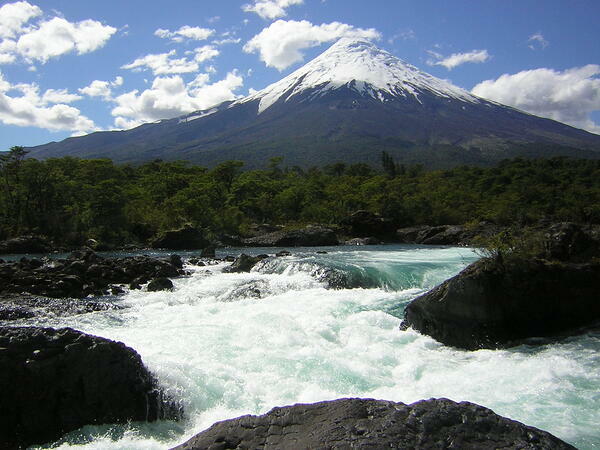 One intriguing element that lies in our path is the Villarica Volcano. Described as Latin America’s most active volcano, it’s hard to pass up on at least a look at this monster. And… if we happen to keep moving in a little closer, grab a couple of pictures, and potentially re-enact a few scenes from the 90’s smash hit “Dante’s Peak,” well… I’m pretty sure we’d officially hit baller status in my book. Be on the lookout… we will too, because… it’s like, a volcano. One warning I kept running into was to ensure we check geological activity in the regions we cycle through to ensure no active eruptions are occuring. It’s not exactly a comforting warning. Still, better to stay on top of this rather than be surprised… by… burning hot magma. Therefore, we’ll constantly be monitoring the Government Website for updates. The departure from Chile into Argentina is marked by the most difficult climb Suzie and I have set out to undertake. Starting practically from sea level, we’ll pedal forward for 100 miles to reach the Andes mountain pass at 8,367 feet. We expect to need 2-3 days to fully cross up and over this monster. The biggest concern for me on this leg of the trip is food and water. It sounds like there are ample opportunities to pick provisions up, but we’ll still be sure to have our 10L bag of water full for this section. The downside is that we need to lug that extra weight up and over the mountains, but it’s worth staying out of any water trouble while on the climb! Nomadasuarus: Helpful tips on backpacking in Chile and traveling in the region. Andes by Bike | Chile: General information on cycling in Chile. Includes the height of all major passes and route recommendations. 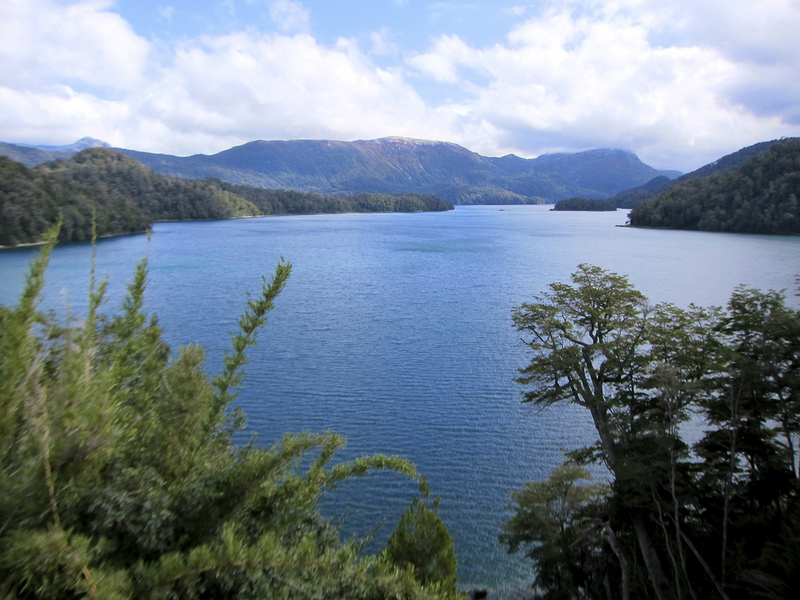 Bicycle Adventures | Chile: Route advice for cycling around the lakes region. Ride the Road | Chile: This is a similar route to the one we are planning. Upping the Andes: Another similar route to our own. Great info on how to avoid the more heavily trafficked areas between Osorno and Santiago.